Why does it take this? ORLANDO, Fla.--- Seventh-day Adventists are joining millions across America professing massive love and support for the LGBTQ community after the horrible loss of human life in the mass shooting at an Orlando gay nightclub. More than at any other time in Adventist history, members from every walk of life are standing in support of a community with which they have frequently been at odds. Adventist leaders quickly condemned the shooting and reminded members of the importance of loving even those who "don't believe, live or love like us." "I'm not saying that I'm suddenly going to start listening to Elton John or go join Kinship, but what happened to those homos--- er, sexuals, was horrible, just horrible," said lifelong Adventist Stu Straightson from Des Moines, Iowa. Ny Eve, a retired Adventist grade school teacher from Nashville, Tennessee, said that although she had so far succeeded in having no gay friends, she would now take it upon herself to "compliment the next person I see waving a rainbow flag and tell them it's really pretty. Maybe I can share the story of the first rainbow while I'm at it." Asked for her take on her faith community's reaction to the Orlando tragedy, Miami, Florida-based Adventist college student Miel Enielle sighed. "Better late than never, I guess. "But it's a tragedy that it took a tragedy for Adventists to love gays." I was told Sunday evening by son who lives just north of Orlando. He said ‘terrorist’ had killed so many people. My housemate shared that they were discussing it at the country church she attends. IMO, just so sad they have NO second change. Wow….Thanks for St Peter. Just glad that you won’t be judging me when I get to the pearly gates…. I think it is reasonable to look at the two biblical authors who even mention homosexuality in light of who they were and what they said. The first is Moses, a documented murderer who also said that homosexuality was an abomination, but then he went on to call men who shaved their sideburns an abomination, who said if you remarry the same person twice your an abomination, that if you touch an unclean animal your an abomination, if your arrogant your an abomination (that’s a tough one for Donald Trump), if you eat with a gentile it is an abomination, if your a women who wares a mans clothing it’s an abomination (so much for pant suits, ladies)…this list goes on for 68 abominations. Then there is the other biblical author Paul, who, quite simply is not just a murderer but a mass-murderer. Who was a Pharisee as well as a Roman and who wouldn’t have allowed women to speak in church, let alone be ordained. I think that gives some context. It’s sad that gays know that most SDA’s and many other professed christians do not love them! Tragedy that this tragedy will not cause Adventists to love them! I predict that all the ‘loving’ talk will not last. Now that is the tragedy! Why do I need to love gays? Joe why are you on a christian website? Christians love! If you can’t love then what does that tell me ………..
Is there a reason I shouldn’t love you? Love is not discriminating or shunning whether you are gay or Baptist or unchurched or or or. Jesus loved all! It is alright to love the sinner, just not the sin in which they commit. God created Adam and Eve, and adam said, “Therefore shall a man(Adam was a male) leave his father and mother and cleave unto his wife(Eve being a female).” Homosexuality is an abomination. Yes. but so is stealing and lying and other non-sexual abominations. So keeping things in persepective, we must show love to everyone, just not condone the practice in which it turns God away. “In the end, we will remember not the words of our enemies, but the silence of our friends.” -Dr Martin Luther King Jr.
Actually, I have to disagree. NAD President Daniel Jackson did not use “gay” or LGBT in his denouncement of the violence. We can not let anyone think this is a hate crime because we might be forced to look at who promotes that hate. I found this post reprehensible and in very poor taste. In my view, the authors exercised poor judgment in publishing such material, particularly now or at any point in the future. Seizing upon the worst mass murder in US history to elicit a laugh is unbelievably calloused. I recognize that in our country we are allowed to publish opinion and commentary regardless of how revolting it may be, I must still condemn this astonishing lack of human decency. I think you missed the point. The author is responding to the NAD’s response to the event, and not the event itself. It must be viewed in light of the churches attitude and treatment…. or lack thereof, towards the gay community within and outside of the church.. Worst mass murder was when the USA was founded! We massacred the Native Americans and took their country away from them. They did not have a legal claim to the entire country. They were savage in terms of those times and lived by the sword and or knife and that is how things were settled back then. They were I guess inhabitants of this land and were already fighting among themselves. What part of the country did the explorers and settlers have a ‘legal’ right to. They landed and took over. In those days as in biblical times, the winner of wars had the claim of ownership. I believe Donald Trump’s heated anti-Muslim rhetoric may be partly responsible for the massacre. 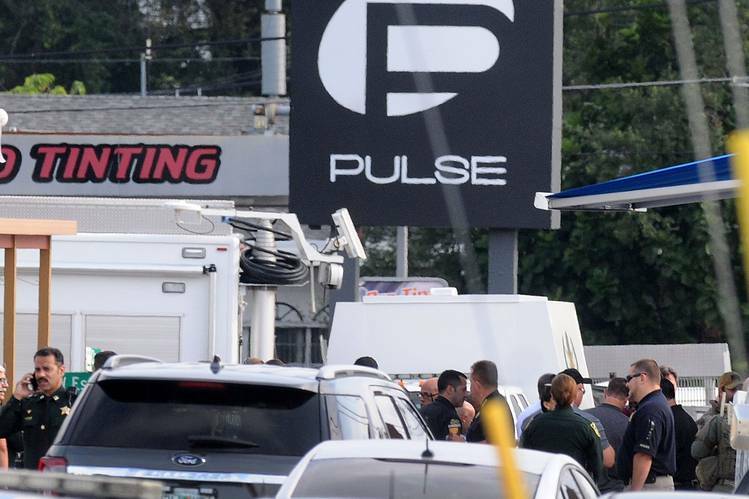 The gunman said he had suffered discrimination and harassment based on his religion. I know several devout Muslims, and they are kind, respectful, delightful people. Trump is making things worse by painting them all as terrorists. He does not portray them all as terrorist, but so many times in so many different parts of this world Muslims have committed criminal acts of terror, that the stereotype has been set and now it sticks to them. Just like not all SDA are vegetarians, but all the literature you read about us may lead you to the impression we all are. (I’m not) We do not all have EGW in high prophet regard but he general consensus is that we all do. Stop the immigration from Muslim countries he says, I can see his point.